The Louisiana Himalaya Association exceeded its $50,000 fundraising goal, raising more than $53,000 to assist the victims of two recent devastating earthquakes in Nepal. After Hurricane Katrina, Nepal sent a $50K donation to Louisiana to help those affected by the storm. The purpose of the fundraising event, “Full Circle: New Orleans to Nepal,” held at New Orleans Botanical Garden, was to return the kindness and to support Nepal in its hour of need. About 300 people attended. 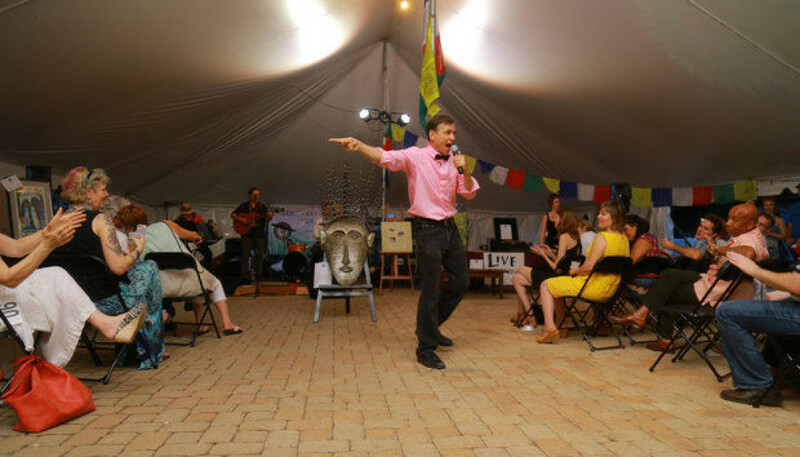 Food donated by several local restaurants, two bars, live music and a live auction conducted by auctioneer John Calhoun were featured. New Orleans musicians donated their time and talent to the event. Scattered acoustical sets entertained for the early part of the evening, until Mardi Gras Indians Big Chief David Montana of The Washitaw Nation and Wildman John of the Wild Tchoupitoulas started off the auction with their traditional, beloved songs. Afterwards, Harmonouche & Zazou City with the Earthquake Relief Band, Martin Krusche, Andrew MacLean and friends and Buku Broux performed. The live auction raised more than $40,000 for the cause. Calhoun also led a non-competitive bidding process to house homeless Nepalese families. With a bid as low as $100, guests could contribute housing for one family. The Fund-a-Shelter alone raised enough to house 3,500 families. Speakers included local filmmaker Kimberly Rivers-Roberts and author Thomas Laird. To help Nepal earthquake victims, visit the Louisiana Himalaya Association website.